Fred, Dalot done: Man United should now complete rebuild with £40.5m-rated lynchpin | The Transfer Tavern | News, breakdown and analysis on all things football! The Manchester United fans in and around the Transfer Tavern are feeling confident that this could be the year the Premier League trophy returns to Old Trafford judging by their early summer signings. Fred and Dalot have already been brought into the club as Jose Mourinho and his side aim to go one better in the league and beat rivals Man City to the Premier League title. That will prove no easy task to accomplish but our punters feel that the addition as well of Milan Skriniar, who is valued at £40.5 million on Transfermarkt, would increase their chances massively of doing so. The 23-year-old only joined Inter Milan last season but after enduring a terrific campaign, United simply have to be the first in line for his signature as it’s clear to see the quality he possesses. Skriniar played in every single league game for the Italian side last season, scoring four goals and keeping 17 clean sheets in the process. The Slovakian centre-back likes to play the ball out from the back and is very accomplished as a calm ball-player. It’s clear to see that Jose Mourinho plans to improve his defence ahead of next season, having previously shown an interest in Tottenham’s Toby Alderweireld. 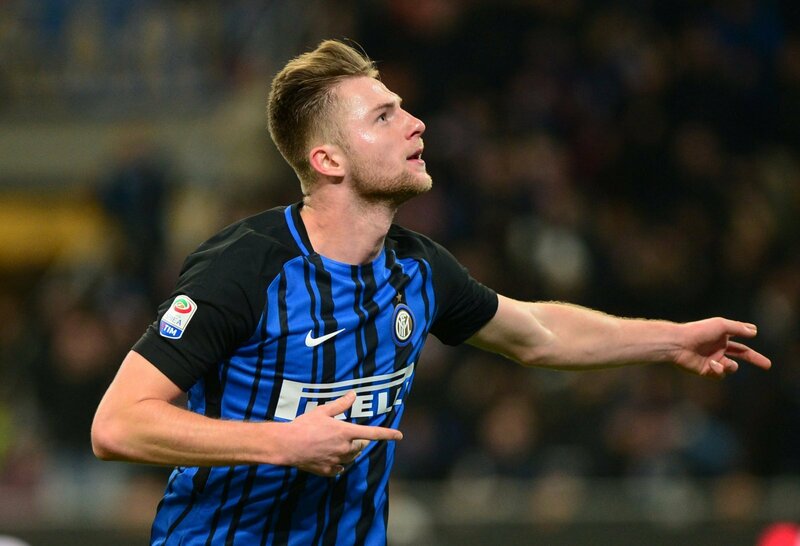 With Eric Bailly, Victor Lindelof and Phil Jones all struggling with injuries at some point last season, Skriniar is a man who just played every game possible for Inter Milan so not only is he talented but also extremely fit and ready to take on the Premier League challenge. Would this be a good signing for United… Let us know!